Top Ten List – Aromatic, Relaxing, Dreamy – Spas around the world. Are you planning a honeymoon, couples get-away, or girls’ spa-weekend? An avid spa-goer and willing to travel the world to be pampered? Hoping to sneak in a relaxation session while on vacation? Look no further – tanaRi’s got you covered. Check out our countdown of top ten favorite spas located in some spectacular travel destinations. 10. Exhale at Gansevoort – Meatpacking, New York, NY – Start local; go global! Lose yourself in the middle of a concrete jungle right here in NYC. Exhale Spa in located in one of NYC’s hottest neighborhoods. Relaxation is the name of the game here with three amazing infinity-edge hydro pools and treatments to pamper you from head to toe. 9. Sanitas Spa at Çirağan Palace Kempinski, Istanbul, Turkey – Travel back in time to olden day Turkey with a traditional Turkish Hamam. Soak your body, relax your eyes and surrender your mind to the multitude of sensations created by a mixture of water, soapsuds and hands. If you are looking for something a little less cozy, take a dip in their outdoor pool with amazing views of the Bosporus and the ships travelling down the strait. 8. Unu Spa at Inkaterra, Machu Picchu,Peru – You probably have earned a visit to this luxurious spa after the long hike up Machu Picchu. Relax those adventurous muscles by spending an entire day at Una getting massages, body treatments, facials, etc., which use locally sourced botanical extracts and is 100% natural. 7. The Spa at Viceroy Snowmass Resort, Aspen, Colorado – Known for the holistic treatments, they offer a range of treatments from Ute Indian inspired therapies to contemporary beauty rituals. If peace of mind is what you are looking for, take a seat in their meditative relaxation lounge while you calm your mind listening to the soothing sounds of water falling from the infinity pool and waterfall. 6. 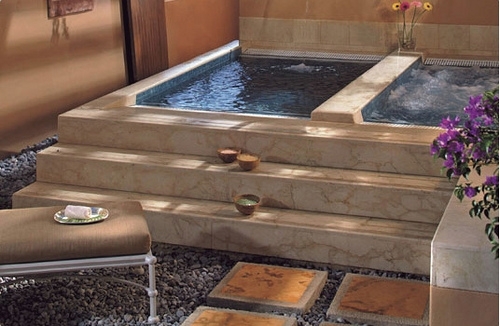 Jiva Spa at Taj Hotel, Mumbai, India – Tired feet from exploring the city & shopping expeditions? Let us talk about amazing service at Jiva. Feel like royalty at Jiva as your feet is washed with water & fresh rose petals. Experience authentic ayurvedic treatments, detox massages, aromatherapy, body scrubs and wraps inspired by traditional Indian healing wisdom. 5. CHI the Spa at Shangri La’s Villangili, Maldives – Honeymooners look no further – with a personal private villa for massage, body treatments, hot tub, and more, you and your hubby will be drenched in romance. 4. Kayantá Spa at The Ritz Carlton, Cancun, Mexico – Get pampered by an amazing staff that makes you feel like a queen. We recommend their ‘Drift to Sleep’ massage. True to its name, you will feel the effect of true relaxation and may actually fall asleep. I know I did! 3. Groom’s Choice: The Spa at Amanyara Resort, Turks & Caicos – With facilities that spread over 1.5 acres of gorgeous land, enjoy the “Pure Awareness” where massage is integrated with other techniques such as joint release, stretches, chakra sensitivity, acupressure, Thai massage, breath and energy to work to create a holistic approach to the body. 2. Raison d’Etra at Grand Hotel, Stockholm, Sweden – Nordic tradition resonates in every detail at this spa and they provide some of the best amenities. The spa offers you sensational relaxing experiences in a pure Nordic tradition; hot bath to promote blood vessel circulation to skin surface and open up pores, followed by cold bath/shower to close pores and prep body for relaxation, and finally relaxation treatment. 1. The Spa at Anantara – Dhigu Resort, Maldives – My personal favorite! The location and ambiance is to die for at their over water villas! Try their amazingly calming Thai massage while watching the panoramic views of the ocean and enjoying the beautiful colors of the coral and fishes swim by in pristine waters beneath you. Mystic beauty, cultural pride, and vibrant hues tied into a love story. 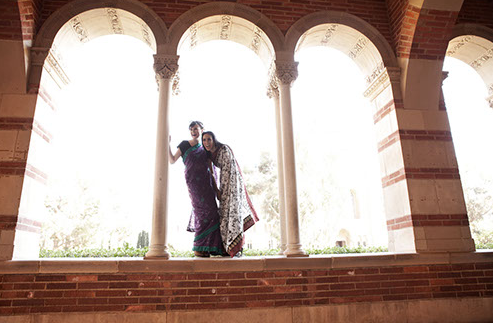 When tanaRi met with Nisha and Naveen to plan their wedding reception, we were ecstatic due to two reasons. The bride is an embodiment of sweetness and a delight to work with. Secondly, Nisha loves peacock feathers and wanted to incorporate it into the theme for the reception. Drawing on that inspiration, we went to work in putting together a peacock themed affair for the couple, while maintaining the elegance and grandeur of the ceremony. We loved that Nisha’s traditional bridal lehenga choli beautifully captured the hues of teal, purple, gold and green. 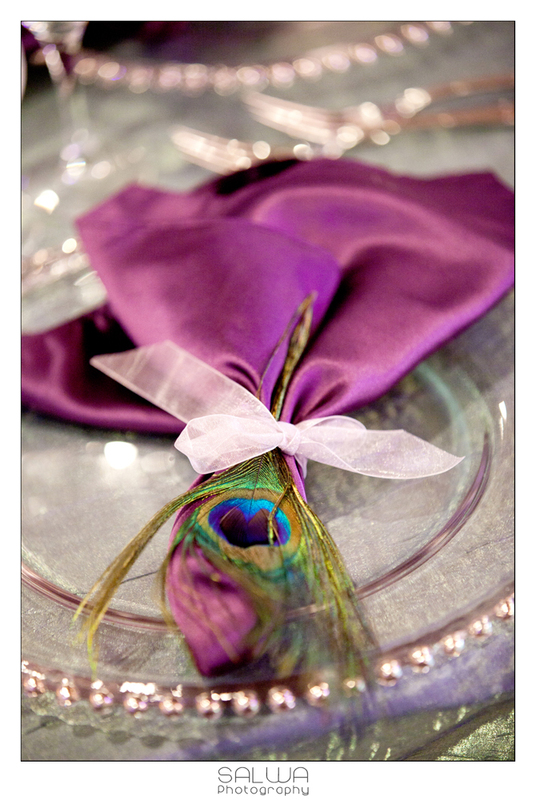 This multicolored peacock feather effect can be seen throughout the event space blended into the floral arrangements, linens, place settings and favors. 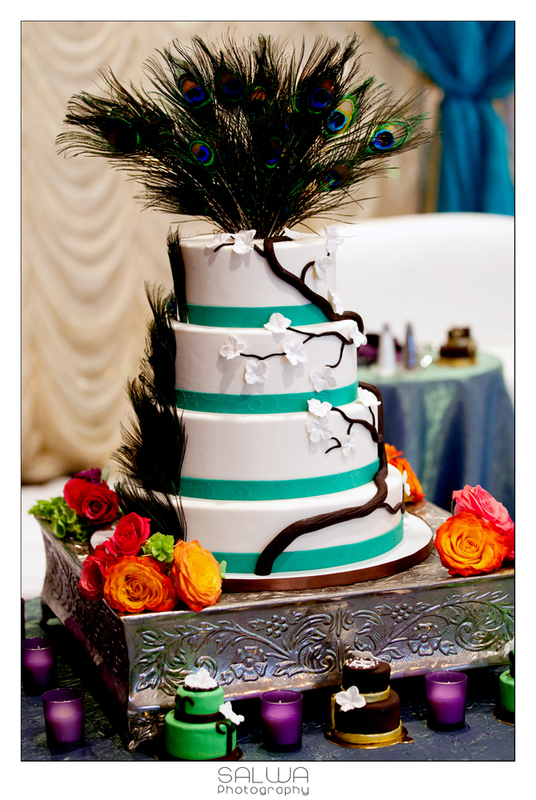 Real peacock feathers were introduced into wedding cake, giving a pop to the shimmering feathers against the white fondant. 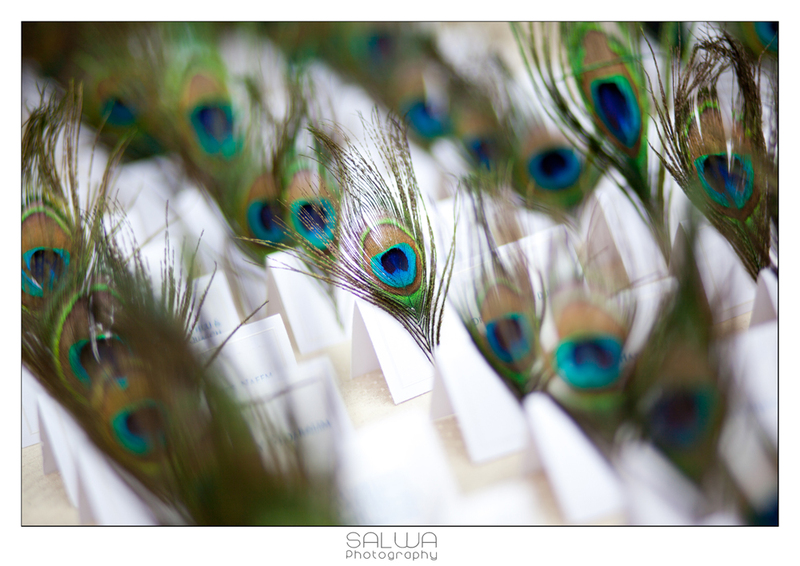 The individual place settings got a touch of glamour with single peacock feathers offering an exotic feel. The mini tiered cakes for the guests done in vibrant hues looked impressive as table decorations and were a crowd favorite. 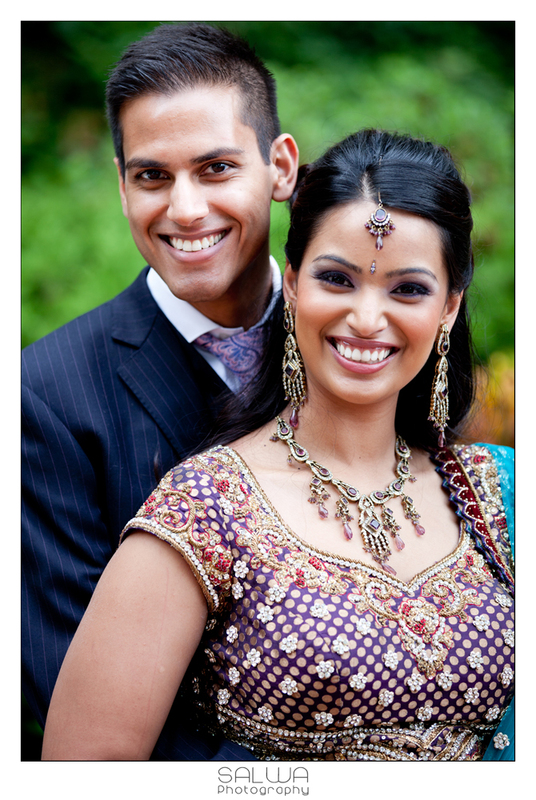 Nisha and Naveen – A beautiful and graceful couple, whose special day was bright with love, light and colors, with just the right touches of peacock. tanaRi is blessed to have been part of this celebration and wishes them a colorful future together!